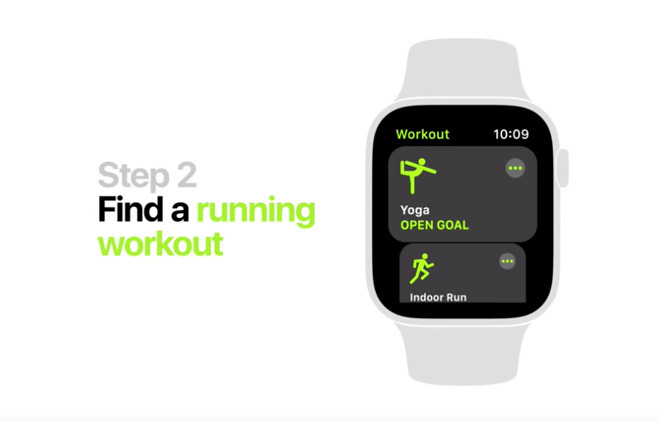 Apple posted a collection of five new tip videos to its YouTube channel, teaching owners of the Apple Watch Series 4 how to perform some basic functions on the wearable device, including a few covering the wrist-worn hardware's fitness functionality. Published to Apple's main YouTube channel on Saturday, the five videos are brief, lasting roughly 30 second each, and have the same visual style of a simple Apple Watch design surrounding screen captures from watchOS. While they all refer to the Apple Watch Series 4 in the title and in the graphics, the tips are pretty much usable across all Apple Watch models. 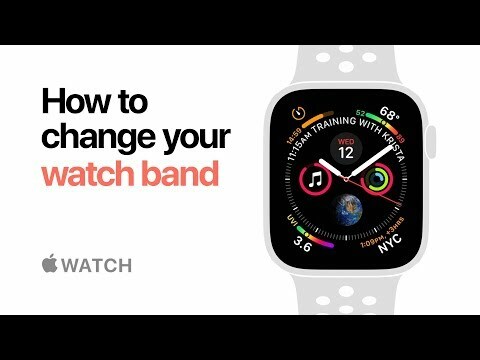 The only physical tip of the group, "How to change your watchband" explains how to press the buttons on the back of the Apple Watch to release the band straps, then to slide out the old band before inserting the new one, securing with a clicking noise. "How to use Siri" explains both of the methods of accessing the digital assistant. Users can raise the Apple Watch to their mouth to automatically trigger it, or can press and hold the Digital Crown to activate Siri. The remaining three tips all center around using the Apple Watch for Fitness. 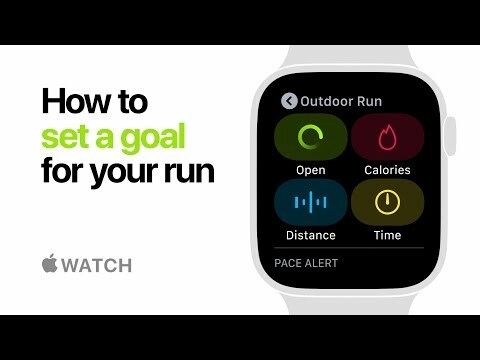 For "How to set a goal for your run," the video takes the viewer through opening the Workout app, selecting the workout, and setting their specific goal or pace alert. "How to view your past activity" prompts users to go into the Activity app on their iPhone, then to select History on the bottom left of the app screen. This brings up the user's Move, Exercise, and Stand results, awards won for that day, workouts, and other useful data. 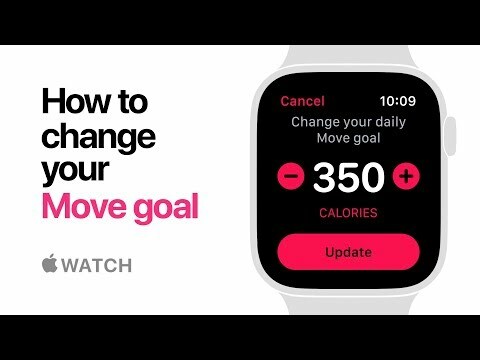 Lastly, "How to change your Move goal" explains how to update the calorie target from the Apple Watch Activity app, then to press firmly on the display, select Change Move Goal, then to enter the new goal and confirm it. 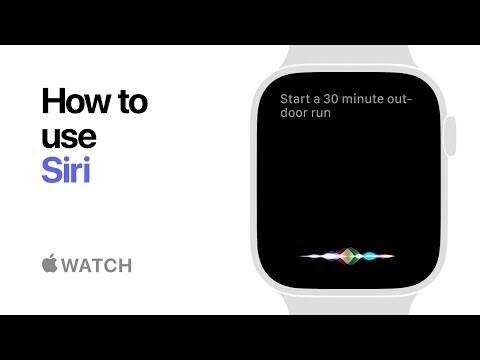 The new set of videos follow on from an earlier batch of tips, which covered how to use Control Center, Walkie Talkie, Apple Music streaming, customizable workout metrics, viewing the Activity rings, and how to customize the watch face. These are good, needed and useful. But what I think would be more useful is if Siri would be upgraded to provide the same information. Whenever I ask Siri for help with an iPhone function, all I get is a web scan rather than instruction from Apple. "Siri, How do I start a run?" Apple Watch: "Sorry, I can't search the web"
"Siri, How do I start a run on Apple Watch"
Part of this was Jobs' cynicism of detailed instruction manuals in favor of the Atari approach of: "Avoid Klingons". But, as functions not only proliferate but how to trigger them becomes less and less intuitive, I think more is needed. After watching the ad I decided to use siri for my daily watch and it worked. What I did was - "hey siri start outdoor walk" I also ended the walk with the command to end outdoor walk. It's like magic. I just got the Apple Watch 4 44MM Yesterday to upgrade my Original. You think 42mm to 44mm is not much, but WOW, makes a big differance. It's so much faster. I think the Mic on my Original stopped working as Siri stopped working. I like the ability to just ask Siri whatever without having to say Hey Siri. Finally the app "Voice in a Can" actually works on my new Apple Watch. It was way to slow on my Original Apple Watch to do anything. If you don't know what that is, it gives you Alexa on your Apple Watch. For my Smart Blinds that don't support Siri, only Google and Alexa, I would normally use my Ecobee 4 to control them. Now I can just use my Apple Watch and it works.